The number of storms battering the UK is on the increase, and there is a growing realisation of the unreliability of using mortar to secure areas of the roof such as the verge. 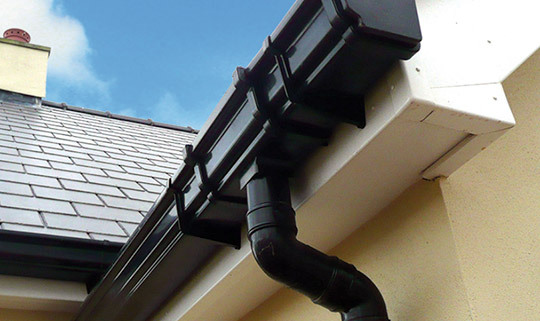 We provide a gutter repair service or a complete gutter upgrade. 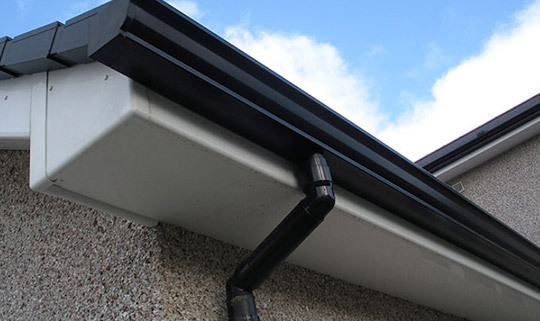 The gutters provide an essential function, they divert the rainwater from the roof and direct it into the down pipes where it enters the drainage system. If the gutters get blocked i.e. from debris, leaves, moss etc. this can stop the flow of the water and cause problems such as dampness and even instability of building a structure if the water drips onto the brickwork, or indeed the ground at the building level. 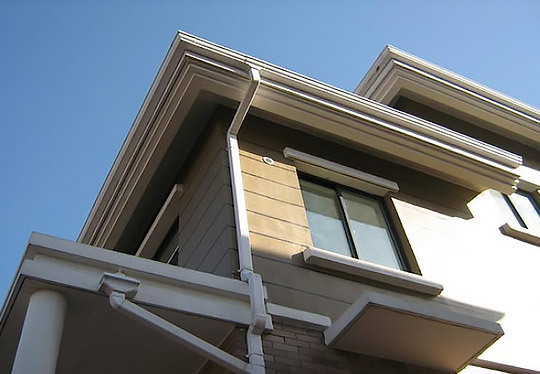 A rain gutter is a thin channel, or trough, forming the component of a roof system which collects and diverts rainwater away from the roof edge. Needless to say, you don’t want it to crack, rust or split, as this can damage both the fascia and soffit boards with moisture. D & S Home Improvements can fix all of these and more, and if you have a steel gutter we can offer our upgrading service? Contact us for advice and a free quote.